Why is now the right time to invest in Dubai? Dubai today is known as one of the wealthiest cities in the world. Mentioning about Dubai, people often think about extravagant skyscrapers, luxurious sport cars and prosperous individuals. Indeed, nowadays the city has become a global economic hub for trading, commerce and finance. Last year, it ranked as the world’s fastest growing metropolitan according to an analysis from Brookings Institute. However, just over 30, 40 years ago, Dubai was still a small settlement surrounded by deserts with little infrastructures and resources. The glory of Dubai today is largely attributed to the city’s leaders His Highness Hamdan bin Mohammed bin Rashid Al Maktoum, and the current ruler Mohammed bin Rashid Al Maktoum. Instead of relying heavily on extraction and procurement of oil like its neighbors, Dubai pursues business diversification, growth and technological advancement. The city leaders make every effort to turn Dubai into one of the most viable and attractive place for investors all around the world. Dubai has an open economy and minimal governmental supervision for the private sector. Most notably, there is absolutely no tax at all in Dubai! The city also houses over 20 free trade zones, which offer a wide range of benefits to foreign investors. Read the comprehensive comparison of Dubai’s FTZs. Yes. Dubai was hit rather severely during the global recession, everybody was. However, it is now steadily regaining its footholds. Due to the diversified nature of the economy, Dubai is able to maintain stability despite plunging oil prices in recent years. In addition, more and more business owners are considering to relocate their business overseas because of uncertainties arising from the US Presidential Election and the Brexit. 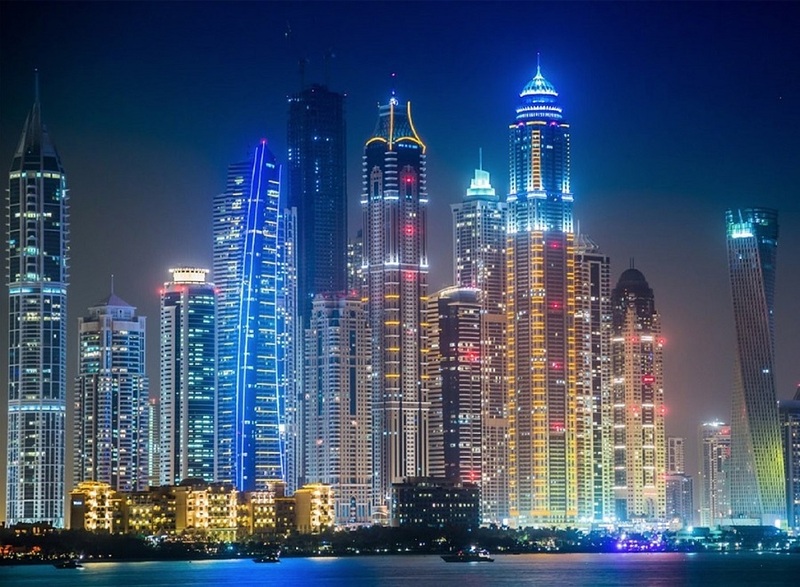 Consequently, opportunities are booming in Dubai again. Moreover, the city is set to hold the World Expo in 2020, the largest business show in the world. The event is expected to boost GDP growth further to 6.6%. There are many projects underway to make Dubai “the world’s most business-friendly city, and its preferred investment destination”. According to Dubai Department of Economic Development, tourism, hospitality and logistics are predicted to be the fastest growing industries. The property market is also heating up again. In addition, because a large majority of Dubai are expatriates, there are also huge opportunities for businesses targeting this market. Examples include house cleaning, laundry services and children education. Furthermore, Dubai also shows commitment to encourage technology to tackle its civil problems. This year, the city organizes the Dubai Future Accelerators program, which attracts over 2,000 companies from 73 countries in the world. Dubai is an exciting place for innovative entrepreneurs to exchange ideas and build their network.